If you haven’t read my recent article Why I Stopped Being Vegetarian, I would recommend reading that before you delve into this one. It will give you a lot of back story and insight into what was going on with my health that caused me to make the tough decision to leave vegetarianism after 11 years. To make a long story short for this article’s sake though, below is a shortened version of why I stopped being vegetarian. The problems that I faced as a vegetarian just seemed to get worse and worse the longer that I was vegetarian even after researching healthy nutrition and trying to clean up my diet and make my vegetarian diet as healthy as possible. I was hungry all the time…I would eat a huge full meal then be absolutely starving 30-60 minutes later. 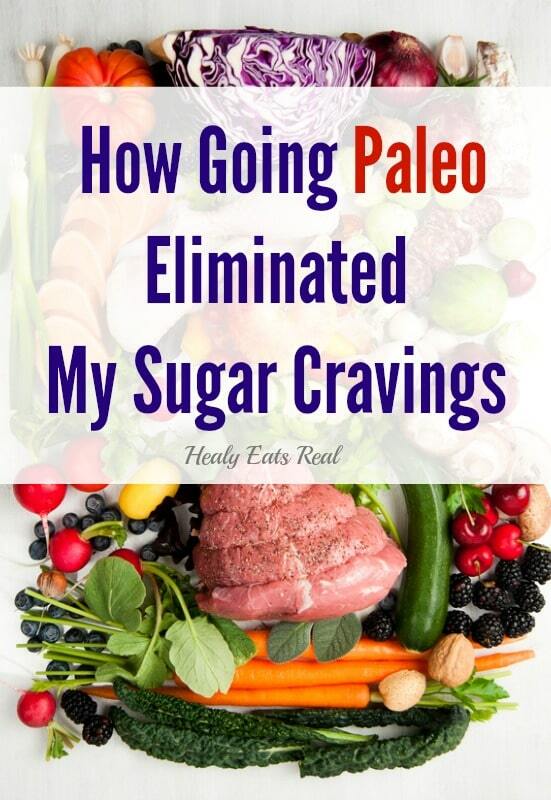 I had constant insatiable sugar cravings that I couldn’t avoid no matter how hard I tried. I was aware of the dangers of sugar and wanted to stop consuming it so much, but felt a deep addiction to it. I learned that my issues were related to blood sugar fluctuations and hormonal/metabolic imbalances which, if not addressed, can lead to even worse problems like inflammation, metabolic syndrome, adrenal fatigue, high cortisol, hypothyroidism, and even in worse cases, diabetes or heart disease (source 1). I tried to increase protein and lower carbs on a vegetarian diet, but it’s almost impossible to do since most sources of unprocessed vegetarian protein like lentils, beans and grains have a very high carb content when compared to the amount of protein they provide. Soy is not a good option either as it can upset normal hormone function (3). Furthermore, most of these items contain anti-nutrients and lectins which can block the absorption of vitamins, minerals and even protein! (4, 5) Of course, I ate pastured eggs which were a good source of bio-available protein, b12 and other fat soluble vitamins, but it wasn’t enough. For so many years, I had felt totally taken over by my sugar cravings. At one point I even thought about just giving up on myself because the desire to eat sugar felt like a heroin addiction (6). I couldn’t stop eating sugar all the time no matter what I did. 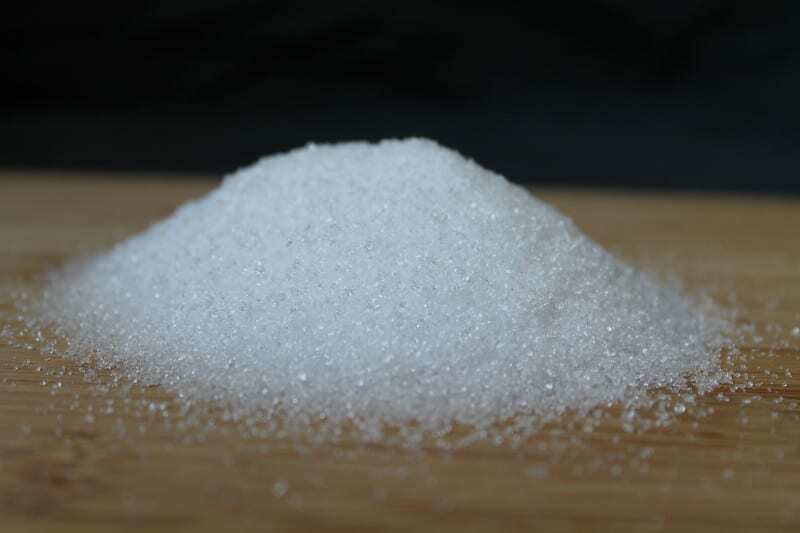 I had tried to quit sugar so many times to no avail. I read about how sugar damages your brain and can lead to cancer, but still couldn’t stop (7). I even did a sugar detox and was suffering with cravings the entire time even to the last day…and after the last day despite my better judgement and recommendation not to, I had a sugar-laden baked good and continued to do so after that. If there were cookies or a chocolate bar in the house, I couldn’t just have one bite and leave the rest…I would have a bite then need to devour the whole thing. I felt totally out of control. I finally made the decision that in order to fix my health problems and keep from developing worse ones, I would have to eat meat. At first, I started by including chicken broth and gelatin into my diet since they were easier to stomach than delving right into meat. The chicken broth was rather mild tasting, soothing and provided a wealth of nutrients that are very easy for the body to absorb like calcium, magnesium, phosphorus, silicon, sulfur, collagen, trace minerals, chondroitin sulphates and glucosamine. 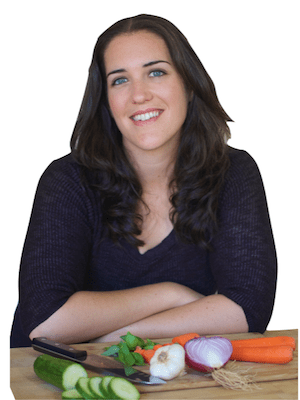 Bone broth can help reduce inflammation, heal the gut, and boost the immune system (8). I added grass fed collagen hydrolysate gelatin to my smoothies for protein and made gummy snacks with grass fed gelatin (the collagen form of gelatin doesn’t gel like the regular gelatin does–which is why I use it in smoothies). 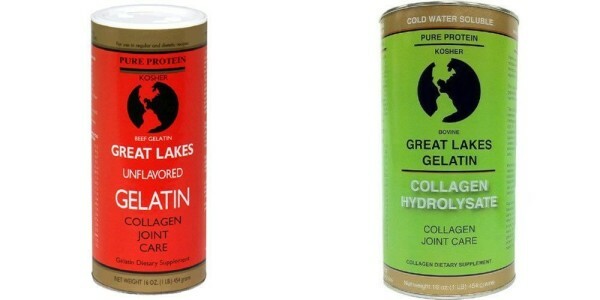 The amino acids in the gelatin would help improve my adrenals and metabolism which would aid in balancing hormones. It also contains easy to digest protein which would help me stay satiated longer (9). I had broth and gelatin for a few months, but didn’t notice many major changes. I knew I would have to move on to eating actual meat. Once I knew that gelatin and broth would not solve my issues, I worked up to trying some pastured chicken and turkey. At first it was really hard to eat very much…the thought of it made me feel guilty, but I knew it was my health on the line, so I was patient with myself and started with little bits at a time. I started with having meat probably 1-3 times a week, then once I got used to that I would move it up to 2-4. I still wasn’t eating beef because to be honest….it freaked me out. I was still eating some gluten-free grains like a little bit of lentils, beans or quinoa. I worked up to eating meat as much as once a day, but even then I wasn’t noticing a huge difference in the way I felt. I continued to research nutrition, blood sugar fluctuations and hormone balancing and kept hearing that it was necessary to have animal protein with every meal to really make a difference with sugar cravings and stabilizing blood sugar. I didn’t want to believe that it was necessary to have meat 2-3 times a day…it seemed excessive to me especially after being vegetarian for so long. I figured that traditionally our ancestors didn’t have that much meat, so why should we? Then I realized that our ancestors likely had a more balanced diet from birth with home-grown, non-gmo, chemical-free, unprocessed foods. They didn’t have epidemics of diet-related issues like blood sugar fluctuations, hormonal imbalance, thyroid problems or high blood pressure and heart disease. Unfortunately, I did have these issues and would have to take drastic measures to correct them. After all that I had read, I thought I would at least try having animal protein with each meal and mostly take out grains and see if it made a difference. Well, after doing this for a few months….I’m happy to report that it has made a HUGE difference! It wasn’t until I added in beef and really made an effort to have animal protein with each meal that I noticed a big change. Once I started to have animal protein with every meal and stopped consuming a lot of grains, beans and legumes my sugar cravings just went away. I’m telling you, the difference was like night and day! 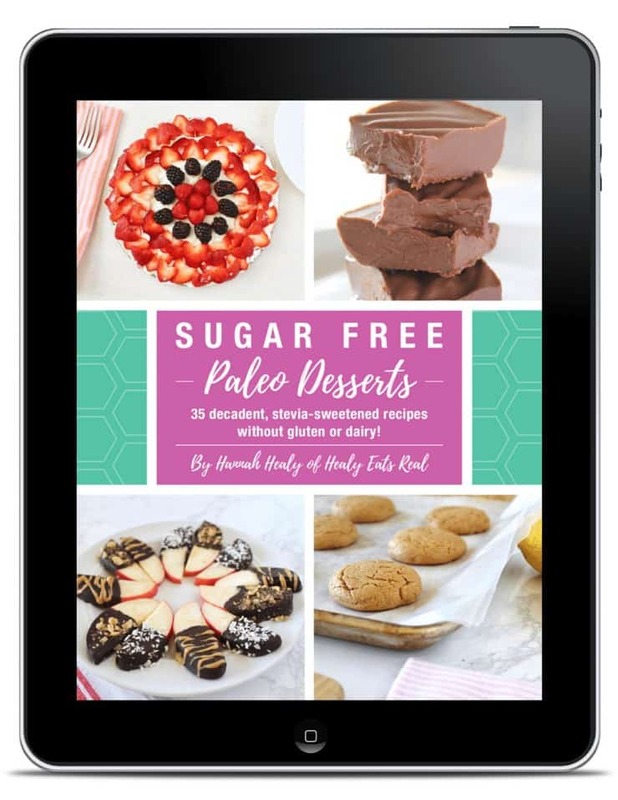 I was so happy when I discovered this because considering the challenges I had before with quitting sugar, I couldn’t believe how easy it was to just not have it. At first I stopped feeling the need to have a sugary snack in the afternoon. But I knew that something had really changed when I went on a trip with friends. We all stayed in a rented house together and they brought a big delicious chocolate bar for everyone to share. In my pre-paleo days I would have probably just eaten nearly the whole thing and then felt guilty about taking all the chocolate or I would have had a few bites and then been infected with the thought of how much I want the rest of it for the following days that it just sat there on the counter…uneaten and calling my name. But this time it was totally different. I didn’t really feel like having the chocolate…and as it sat there uneaten on the counter for two days while other people took a square here and a square there, it didn’t eat me up inside with the constant thought of how much I wanted it. I know I’m making myself sound like I was a total lunatic, but that’s seriously how bad the cravings were…to the point of occupying my thoughts at all times if a sweet treat was in the house until I finally gave in to stop the obsessing. I should specify that I’m not actually 100% paleo. I probably eat paleo 80% of the time. Most meals consist of pastured meat, wild fish, seafood or eggs along with vegetables and healthy fats. However, on occasion I’ll have some white rice, white potatoes, organic sprouted corn tortillas or gluten-free grains (if I’m going out to eat). The paleo diet is pretty low carb which is good for the health issues that I want to address, but sometimes it can be a little too low carb for me if I don’t keep an eye on it. I usually have paleo-friendly carbs each day like sweet potatoes, butternut squash and fruits, but I’ve noticed that if I have too few carbs during the day, I have a hard time sleeping through the night, which is related to metabolic health. So, if that starts to happen, I make sure to add in some more carbs and sometimes those white potatoes, organic sprouted corn tortillas and rice really do the trick! When I wrote my Why I Stopped Being Vegetarian article, I got a ton of comments about how my story was very similar to so many others and I was so grateful that readers shared their stories with me. It made me feel like I wasn’t alone in having these issues and glad to have the support of so many people. Hopefully this article can help you address some of your issues too if you think you’re having health problems like mine. Challenge yourself to a 21 Day Sugar Detox! Anyone can do something for just 21 days…and you can create some healthy habits! Get all the support and resources you need here. I developed RA a few years ago and being in the medical field, I knew that I did not want too use the auto immune drugs to control this condition so I went on an Anti-Inflamation food program (since RA is a disease of inflammation) and was vegan to help hall the”leaky gut” that it’s the gate way odd thIs disease. I did both of these for a year. Feeling malnourished after this and hating my food choices “gluten free”, I decided to transition to Paleo. Surprisingly, I have not craved sugar at all rather I crave corn chips, and white potatoes (esp chips). I only eat organic corn and paired but both cause RA to flare in my wrists, as well as eggs (we have our own chickens). I am very happy to be eating some organic meats again but not being able to eat organic corn or potatoes is killing me! I need the crunch! I know all the substitutions but I just can’t get these cravings out of my brain, any suggestions to sup the cravings? I don’t think its the “corn”, rather, it is “genetically modified corn”. “Organic” doesn’t mean that it is not genetically modified, whoever told you that (as I have had it said to me as well) is incorrect. Animals fed with genetically modified food will also affect you, that means its in your eggs, most likely, because non-gmo corn feed is rare and expensive. Try non-gmo corn from a health store and see how you feel! Great article. I’ve actually just made this decision myself. I’ve known for a while that I should go back to eating meat. But, it wasn’t until my hair started thinning and my scalp started to get scaly from a lack of B12 that I knew I needed to make the change. Not to mention the constant fogginess and nerve issues I’d been having. I just had my first meal with red meat in it in 3 years, and now… I am hoping that I can keep it up. Supplements just don’t seem to cut it, no matter how good my recent pescetarian diet has been. I have the same thoughts as you on ethical farming, and not doing harm. I used to have the mind set that killing anything is wrong, but then, I started eating fish again a few months ago. That’s been fine, but still not enough for me to really get the nutrition I need. I get the same hunger issues, and the same blood sugar issues. I recall a time when I wasn’t vegetarian and I’d never had these issues before. So, ultimately, as much as I don’t want to, I’m not going to deal with constant health issues and put myself at risk. I love animals and will only buy local and organic that have been raised humanely… but I need to do this now before anything worse happens than what already has. Thank you for voicing your opinion on this, and sharing your struggles. It makes us who are doing the same thing, feel a little less alone. This sounds a lot like me, but just going paleo wasn’t enough. I had to make sure coconut oil was in my diet. I made a chocolate (OH YEAH!!!) with coconut oil, carob powder (not a ton, as I realize it is a bean), stevia and sometimes nut butter. I would freeze it thin so it satisfies me with the fats and a little crunch too. I got my life back after this! Now I just make sure it’s in the house whenever I need it. I love your website! I recently learned from my nutritionist that the sugar cravings would stop with higher protein all day but especially for breakfast. It seemed like such an easy fix when I have battled sugar addiction my whole life. But I saw that this really was the case. I also have an issue with stabilizing blood sugar so I need to eat every couple of hours. With paleo being so popular, I have had success with searching pinterest, the internet (your site!) and blogs to get ideas and variety on a paleo based diet. Congratulations to you for changing your life and thanks for being an inspiration. You have given me a lot to think about in terms of my own health. Thanks so much for writing, and your writing is excellent, in fact hopeful and calm.